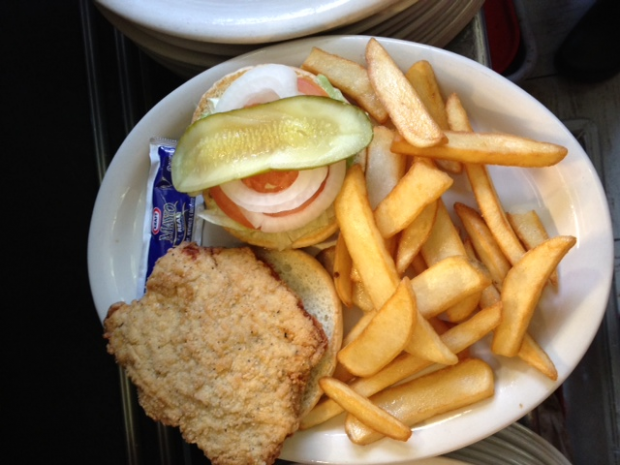 This deep fried, over-sized, breaded pork-loin sandwich is served on a toasted bun. Served with lettuce, tomatoes, onions and pickles. Served with our delicious steak fries or substitute baked potato.